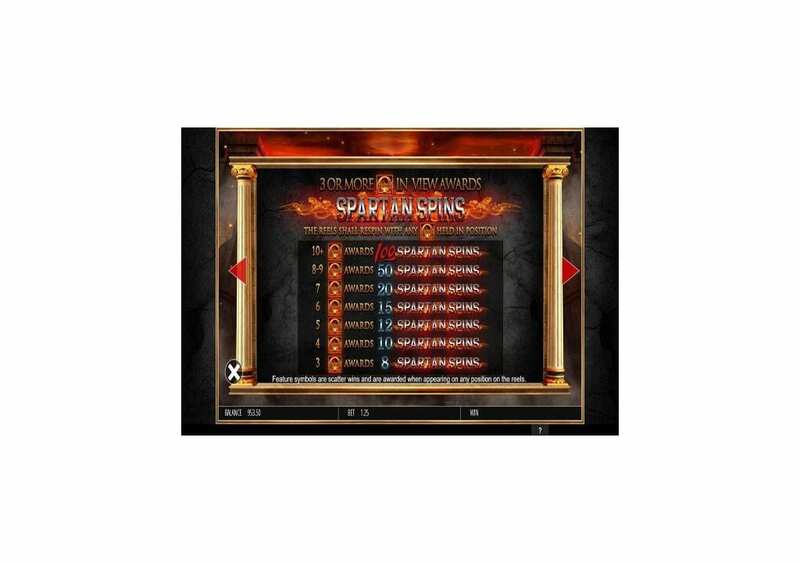 Fortunes of Sparta by Leander Games is a five reel slot machine that has three rows of symbols and twenty stake lines that can trigger many rewards. 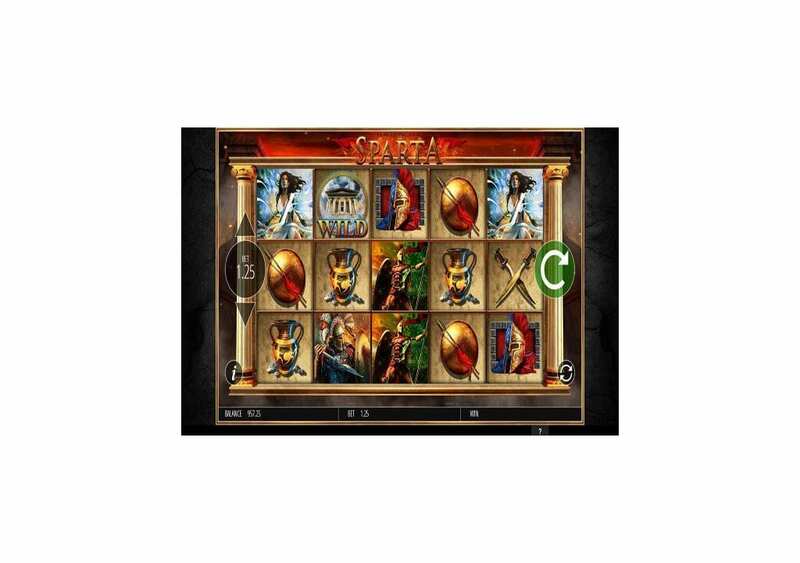 The online slot machine has a Greek theme that revolves around one of its strongest independent nations, Sparta. 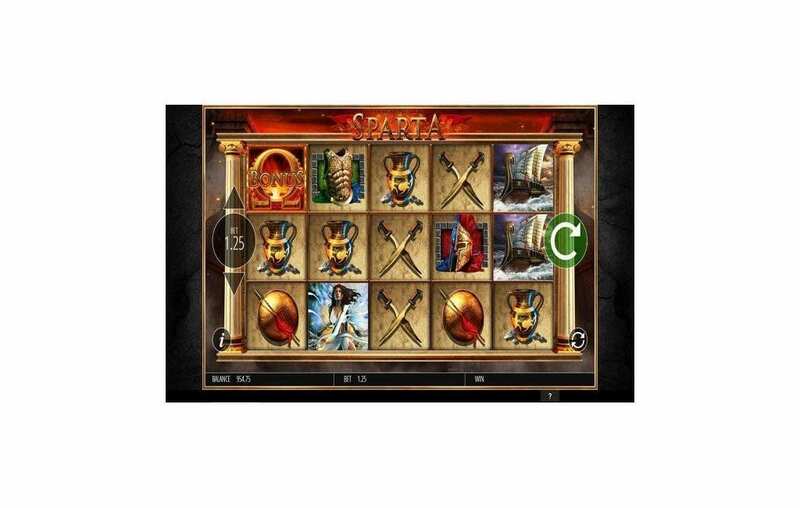 Fortunes of Sparta slot machine has a lot to offer when it comes to a fun experience, great animations and visuals and of course, plenty of features and bonuses. You can spin the slot machine's reels for free right here to check out all that it has to offer you. If you like what you see, you will be able to spin it at a plethora of online casinos. The best thing is that you can enjoy it on multiple devices as well, including Androids, iPhones, Laptops and more. Are you a fan of the movie 300? Did you enjoy the battles and the visuals effects? If you answered yes and yes to these questions, then you will undoubtedly enjoy the slot machine we have here, Fortunes of Sparta. You are going to join the brave Spartan Warriors in an action-packed experience. Such experience also comes packing plenty of features and winning chances. 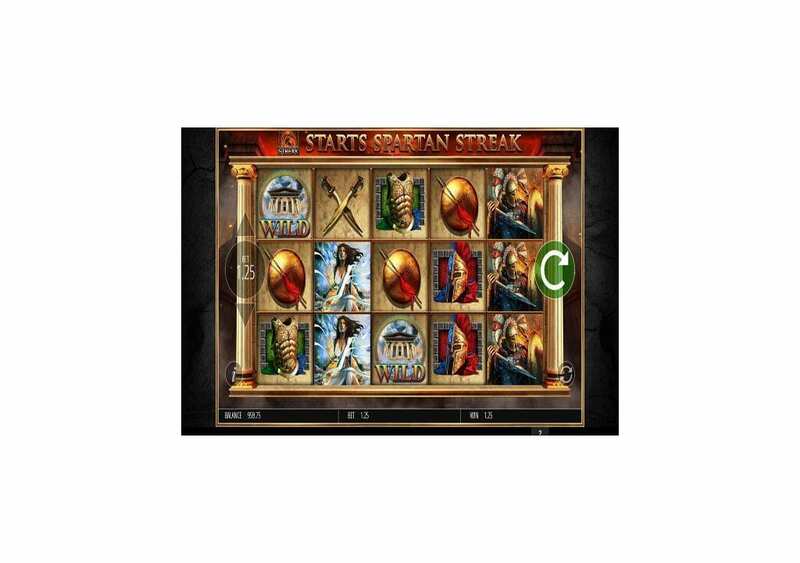 Apart from the twenty lines that the video slot machine has, there is the Spartan Streak, a Wild icon, and the Spartan Spins. So whenever you spin the reels of Fortunes of Sparta, you can expect a highly rewarding time with an RTP of 97%+, plenty of features and great visuals and animations. 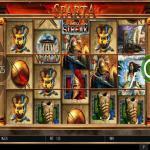 “Fortunes of Sparta” by Leander Games is a fun and an exciting video slot machine. It offers you the chance to re-live your favorite movie, 300. 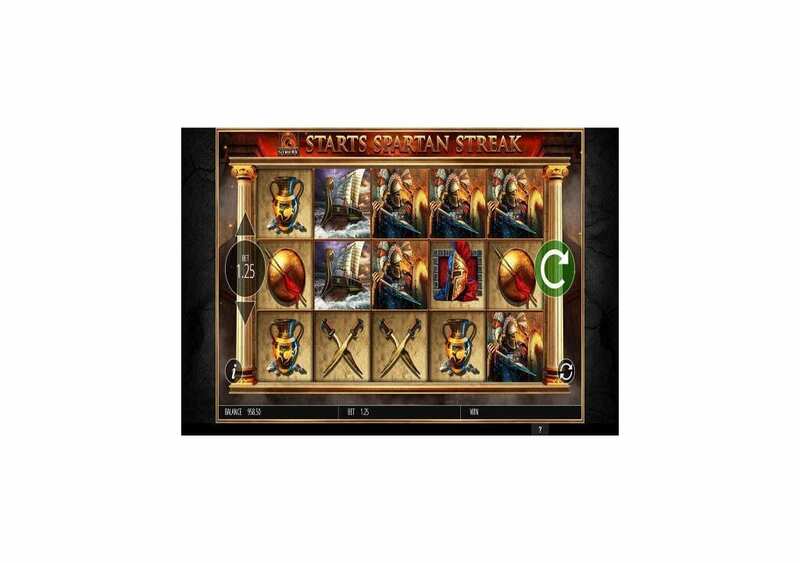 You will notice a lot of similarities between the film and the slot; this includes the visual style and symbols, to the font that it uses to write 100 Spartan Spins. 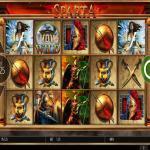 “Fortunes of Sparta” slot machine has 20 lines and five reels with three symbol rows. 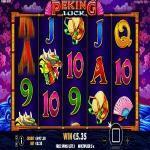 The online slot is playable on a wide array of devices and operating systems including Androids, Laptops, and iPhones. Leander Games made sure that the game is compatible with various devices, whether they have a small screen or a large screen. 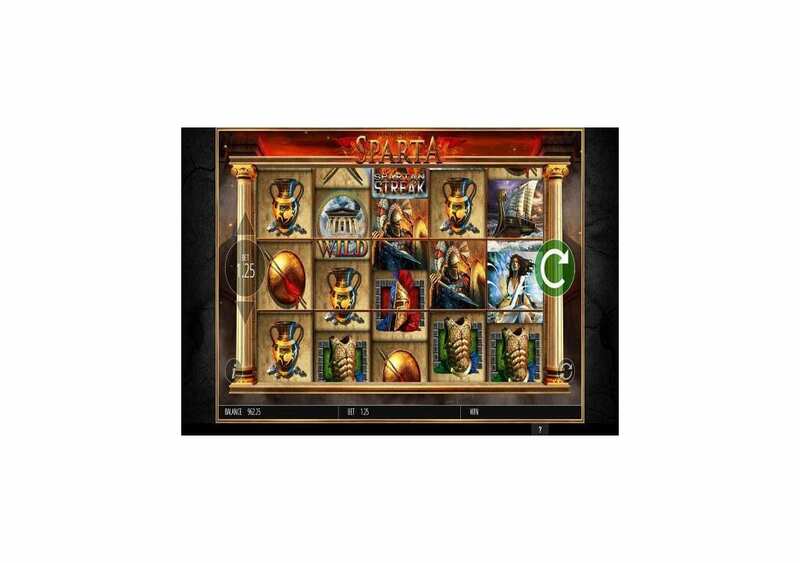 You can also play the online slot here for fun with demo credits to check out all that “Fortunes of Sparta” has to provide you with, before you place real stakes. Sparta was one of the prominent city-states in Ancient Greece. It was at the banks of the Eurotas River in south-eastern Peloponnese. In 650 B.C, Sparta became the dominant military land power in all of Ancient Greece. Due to its superior military tactics and capabilities, it was the overall leader of the Greek combined forces during the Persian-Greco war between 431 and 404 B.C. One of the memorable films ever made about Sparta is 300, where Leonidas and his brave 300 warriors stood their ground against the Persian Hordes to give time for Greece to unite and fend off the invasion. 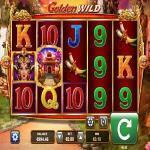 The video slot machine is a 20-line title by Leander Games that has five reels and three symbol rows. You will see two Greek Columns on the two sides of the slot, and the word Sparta in gold at the top. At the beginning of the slot, you will see a brave Sparta warrior landing on the ground, with his shield and Spartan spear. As for the symbols that will spin on the reels, they include Spartan swords, Spartan shields, Spartan warriors, the bonus Omega, Spartan body armor, the Spartan commander, and Spartan boats. 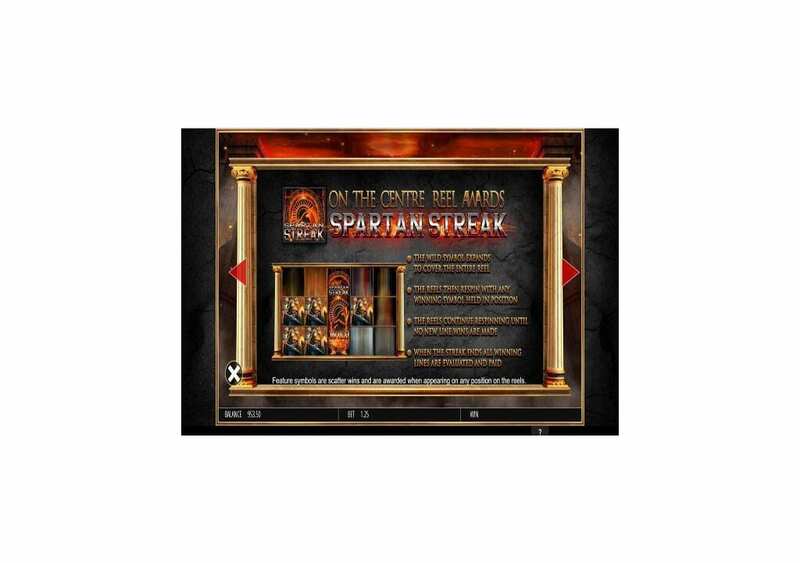 “Fortunes of Sparta” invites you to claim your share of the Spartan fortunes. You will travel to Sparta; join Leonidas and his brave warriors for a highly rewarding experience. You will claim plenty of fortunes through the twenty lines of the slot machines, as well as the Spartan Spins, Expanding Wilds and more. The slot machine has an RTP of 97.01%, which is the official RTP that Leander Games announced for the slot. You shall claim a reward when you get three matching symbols on adjacent reels, and starting from the leftmost reel of the online slot. The highest paying symbol that the video slot machine has is the Wild Greek Temple symbol. If you get 5x of the wild icons on the same line, you will trigger a payout that is equal to 100,000 coins. You will be able to view all of the payouts of the slot machine, and its features at the pay table. To do that, you will click on the “i” button in the circle on the left side. Leander Games always packs its slot machine with great selections of unique features and bonuses. 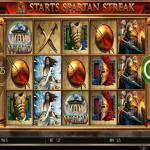 The online slot machine that we have here provides you with a wild icon, Spartan Spins, and the Spartan Streak. Fortunes of Sparta’s Wild symbol comes in the form of the Greek Temple Façade. The Wild symbol is going to substitute for all other symbols, landing anywhere across the screen of the video slot. The only icon that the Wild Temple Façade cannot replace is the scatter Bonus icon. Fortune of Sparta’s wild image is also the symbols responsible for the most prominent line prize possible. The Bonus Omega symbol is the icon responsible for triggering the Spartan Spins feature. Through this bonus feature, you can claim up to 100 Spartan Spins. 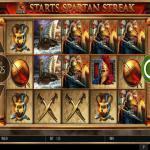 The Spartan Spins are re-spins on the reels of the video slot. During these re-spins, all Bonus Omega symbols will remain in their positions. 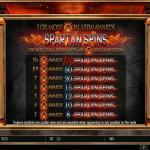 You can claim a massive number of Spartan Spins, depending on the number of Bonus Omega symbols that are on the reels. The minimum number of Spartan Spins is eight, and you claim it when you get 3 Bonus Omega symbols. As for the maximum number of Spartan Spins, it is 100 Spartan Spins, and you get that when you get 10 or more Omega Bonus symbols on the screen. If you manage to get the Spartan Streak symbol on the middle reel, you are going to trigger the Spartan Streak feature. The Spartan Streak icon will expand and become wild to turn the middle reel into a wild symbol. A re-spin will become active, and any winning combo will remain in its position. A new re-spin will become active, and you will keep triggering re-spins until there are no new winning combos on the slot machine.